WASHINGTON -- The U.S. 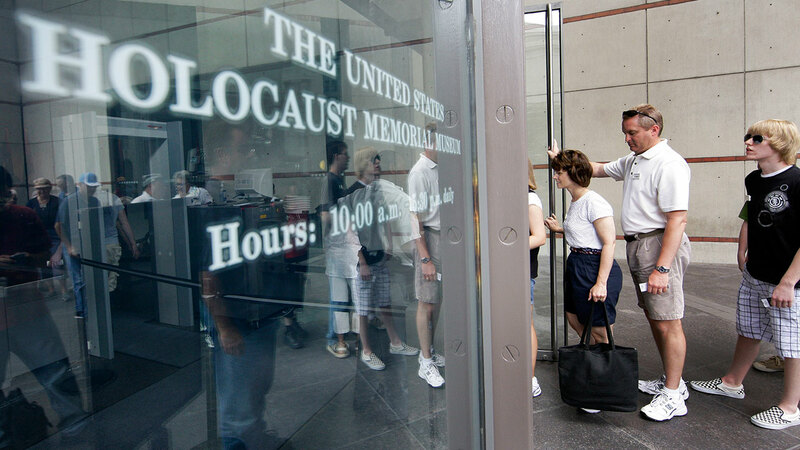 Holocaust Memorial Museum and Arlington National Cemetery requested Tuesday that smartphone users refrain from "catching" Pokemon when they visit. Like many other landmarks, the museum and the military cemetery are featured in the popular new "Pokemon Go" game. Players can stumble upon Pokemon while wandering their grounds. The museum is a Pokestop - a place where players can get free in-game items- and online users say the cemetery also contains Pokestops. Museum officials are trying to have it removed from the game, Communications Director Andrew Hollinger said in a statement. He said playing the game inside a memorial to victims of Nazism is "extremely inappropriate." At Arlington National Cemetery in Virginia, spokesman Stephen Smith said the move was pre-emptive rather than to address a problem they're already seeing. "Playing games such as 'Pokemon Go' on these hallowed grounds would not be deemed appropriate," cemetery officials said in a statement. He said the cemetery's layout makes it difficult to know whether an individual visitor is playing the game on his phone or using the cemetery's own app to navigate landmarks in a respectful manner. Game developers Niantic Labs did not immediately respond to The Washington Post's question of whether it could stop Pokemon from popping up inside the museum.